I’ll be giving a public presentation based on my most recent research and magic consultation project next week. 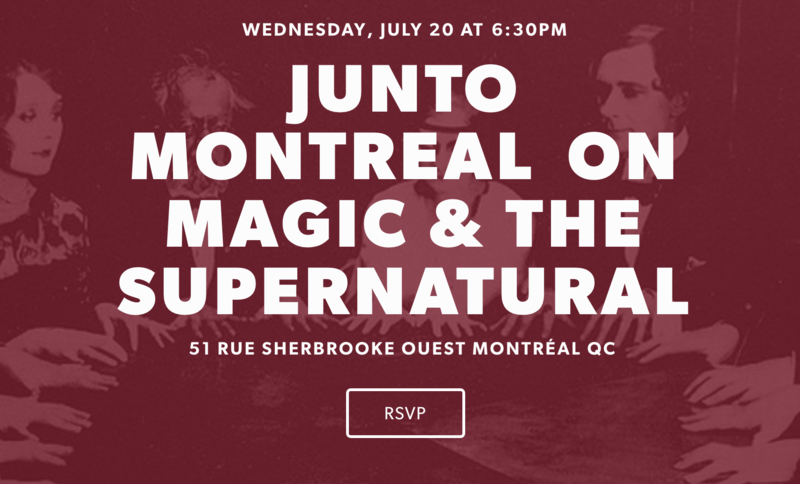 This praxis performance will include supernatural magic effects inspired by my childhood experiences at a spiritual summer camp, Harry Houdini’s 1926 anti-spiritualist exposé at McGill University, and my collaboration on the new media webseries Houdini and Doyle: World of Wonders. All are welcome to attend and to participate in an open discussion after the talk. Click here or on the image above for event details and the link to RSVP.